Thank you for your interest in joining us for our inguinal year. The BossLife Foundation (BLF) is a 501 (c) (3) non-profit organization founded in 2015 to focus greater attention on research and educating the specifically in low income communities. BLF also dedicated to education programs, training and career path mentoring to help the youth. The BossLife Foundation would like to offer a quality of training geared to better prepare our young men, for more than just the traditional athlete or entertainer (which is game of chance). We have developed a strong group of minds (our think tank) prepared to organize the necessary step in providing next level educational tools in the world of employment, self-worth, parenting skills, self-growth, and unity as well as being good fathers and sons to our future families. Harvey Did Not Win Back In A Home Giveaway! Slim Thug with his company Boss Life Construction, IJustGotHit.com, and Radio One Houston stations: 97.9 The Box, 92.1 Radio Now, and Majic 102.1 have partnered together to give members of our community a chance to win a previously existing renovated home. The contest is open to previous homeowners in Houston, TX who lost a home last year in Hurricane Harvey. IJustGotHit.com purchased the home and with the help of Boss Life Construction, the home will be fully renovated. Those that lost their home in Hurricane Harvey can enter the giveaway by texting the word “HOUSTON” to 55000. Entrants that have extreme needs and meet the Terms and Conditions listed on the website (https://back-in-a-home.ijustgothit.com/) will advance to a semifinalist round. Those semifinalists will then be narrowed down to ten (10) finalists by random drawing. All ten (10) finalists will be winners, however only one (1) finalist will win the home. Founded in 2015, Boss Life Construction isn’t just building homes, they are rebuilding communities. Partners Slim Thug, Cory Crawford, and Troy Green have dedicated themselves to building affordable homes without sacrificing quality. They began building in the Acres Home area of Houston and have built as many as ten (10) houses on the same block. “It’s an honor to partner with a radio outlet that has supported me from day one, and IJustGotHit.com, an organization that has worked side by side with Boss Life Construction since the effects of Hurricane Harvey. 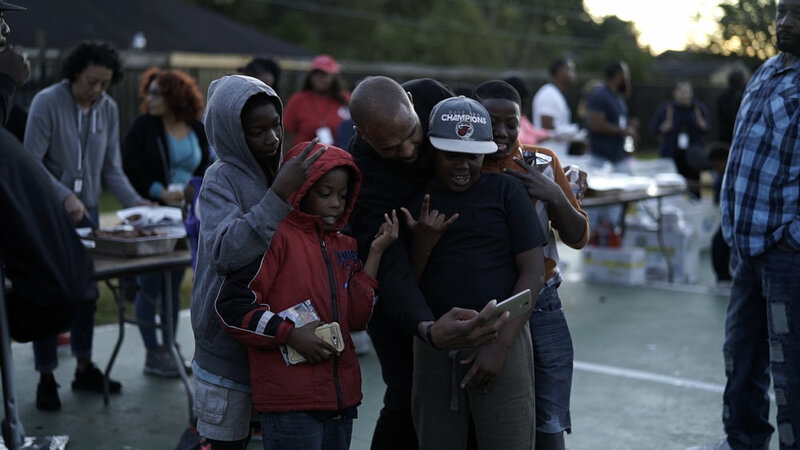 Our collective goal is to turn the tragedy of Hurricane Harvey into a blessing for a family who deserves it most.” Says Co-founder of Boss Life Construction, Slim Thug. Our goal is to donate 10 students $5000 scholarships to assist in the continuing learning decision after high school graduation. This is in line with our future to open a trade school to assist those which may not be interested in the traditional college platform but, wants to be a skilled worker. This school will be funded by the foundation in conjunction with other organizations.